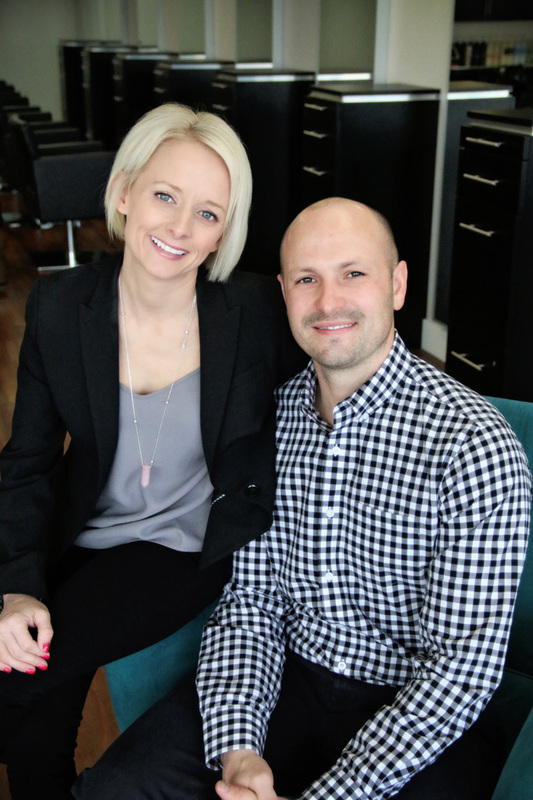 It’s often said opposites attract: certainly the case with Adara’s husband and wife ownership duo, Kirsten and Dan Gannon. Kirsten, outgoing and fun, dreamed of owning an Aveda salon while attending school at the Aveda Institute Minneapolis. She worked as a stylist at a couple of salons in the Des Moines metro before taking a 10 year maternity leave to raise 4 babies. Her husband, Dan, shared the dream of business ownership, but he took a much different path. Down to earth and practical, he headed to business school. With an accounting degree and CPA license in hand, he set off on business ownership by purchasing his family’s business: Gannon Roofing Supply. Today, these high school sweet hearts have grown ever closer and compliment each other perfectly, sharing a passion for the beauty industry and small business.